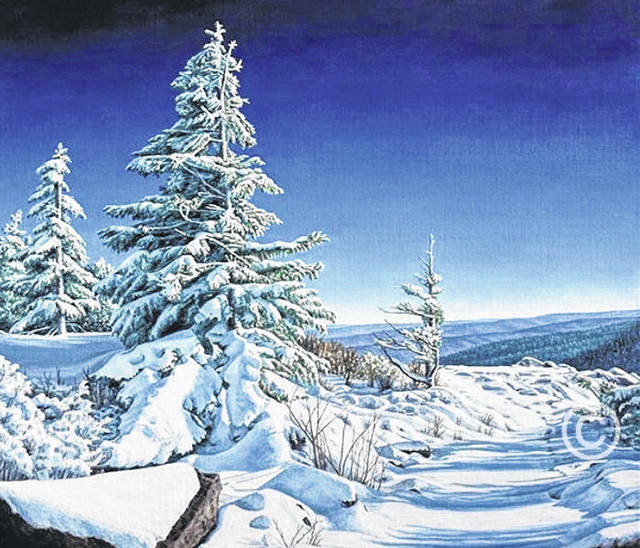 Pictured is an 18-inch-by-20-inch original oil painting done by Rhea Knight depicting a wintry scene along a trail of spruces. 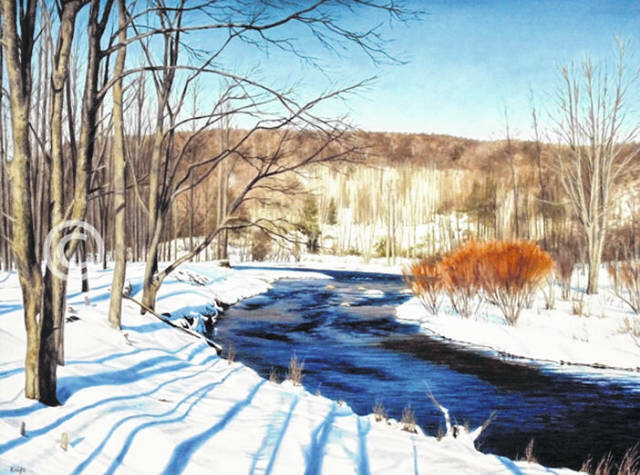 Pictured is an 18-inch-by-24-inch original oil painting done by Rhea Knight depicting a snowy scene at Black Water River. Rhea Knight, owner and artist at Wolf Creek Printery, has been painting for over 25 years. LETART — A local artist’s contest entry has won as the face of a new wildlife license plate for West Virginia. Rhea Knight, owner of Wolf Creek Printery in Letart, shared a representative at the West Virginia Department of Natural Resources contacted her and a few other artists interested in wildlife artwork about creating a design for the wildlife license plate for West Virginia. The design needed to be a rendering of elk, celebrating its recent reappearance in the state. The design could be a piece of artwork the artist had already created in their past. Last January, Knight submitted her design to be judged among a panel of judges and a bit later was informed her elk design was the winner. She explained 3M is in charge of making the license plate and recently they announced the new wildlife license plates would be available at regional West Virginia DMV’s as well as online after the first of year during this month. Knight has been painting for over 25 years. She has done shows at Tamarack and her artwork can be purchased there as well. According to her biography on her website, Knight’s artwork has has been selected for exhibit in national and international juried shows, including the Arts for the Parks Top 100, a yearlong national tour celebrating America’s National Park System. She is also a signature member of both the National Oil and Acrylic Painters’ Society and the National Society of Artists. Knight pursues her artistic passion during her daily job as well. 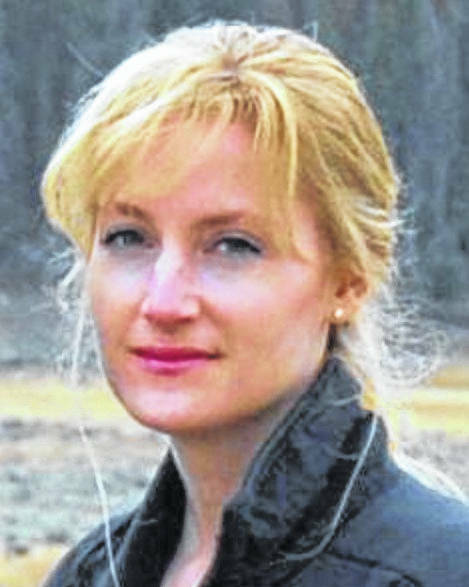 Along with being the owner of Wolf Creek Printery, she is also among the artists who create the artwork for the business’ fine art calendars. Knight shared she is excited and looking forward to seeing her artwork traveling up and down the roads. For those interested in Knight’s artwork, her work can be viewed and purchased on her website www.yessy.com/RheaKnight.